It’s almost Christmas and you’re wondering if you made it on Santa’s “good” list. 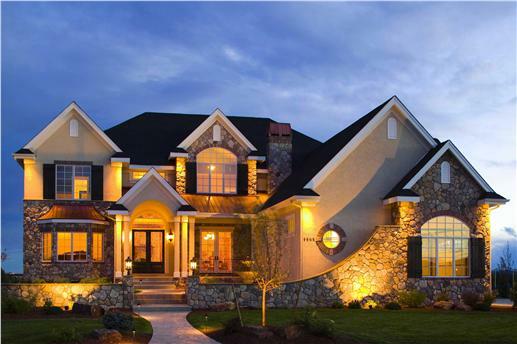 You’ve been thinking about a gorgeous home to call your very own for a long time. Perhaps, all Santa needs is little nudge, to make it happen this year. A Look at the “Ten Most Expensive Christmas Gifts in Today’s Home Real Estate”: As 2013 draws to a close, several “super-expensive” multi-million dollar homes are back on the sale block. These include Copper Beech Farm in Connecticut, a duplex in the Bloomberg Tower, an estate in Beverly Hills, a ranch in Wyoming, and even a villa in the Riviera. A 50-acre estate on the water in Greenwich, Connecticut, Copper Beech Farm – was built by the Lauder Greenway family (Carnegie Steel connections). On the property are a private beach, two offshore islands, and a Victorian mansion. The 13,500-square foot mansion has 12 bedrooms, a three-story entry foyer, seven full baths, two half-baths, library, dining room, solarium, wine cellar, fabulous gardens, fireplaces, grass tennis court, and pool. …take a look at this coastal two-story home - half the size of the Copper Beech Farm mansion (7,100 square feet) – but with all the amenities of modern living and a beachfront setting to boot! 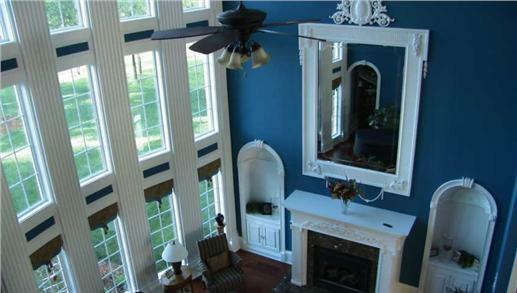 A grand foyer opens into a large living room with a fireplace and stepped ceilings. 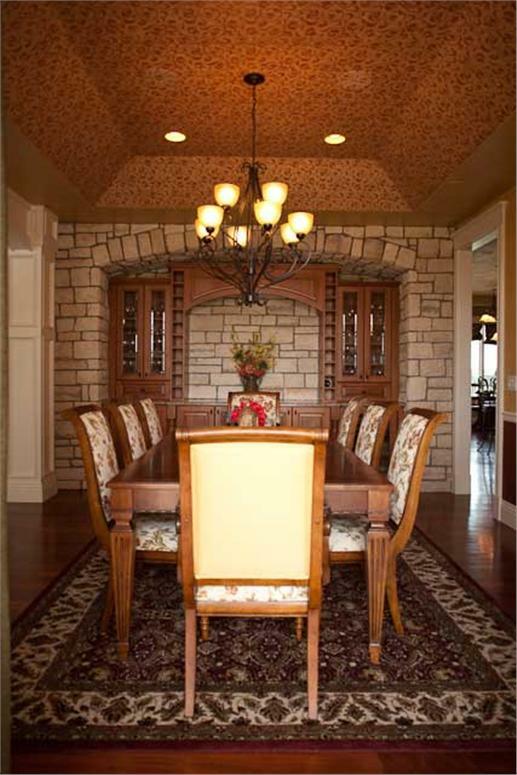 There are six bedrooms, seven-a-half baths, family room, and formal dining room. The Master Suite occupies an entire wing of the second floor with its private sitting area and covered balcony. 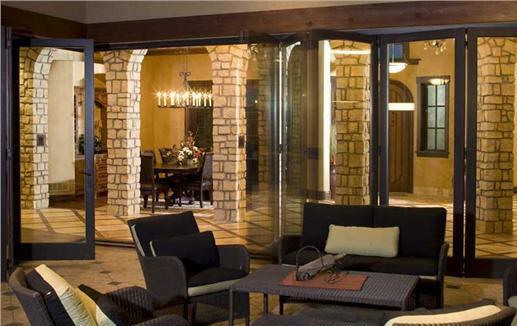 It also comes with a library, media room, a guest suite with its own entrance, covered patios with a summer kitchen. A view of the elegant living room; the peninsula kitchen with eat-in bar and breakfast nook. Less than ten minutes from downtown Dallas is the Crespi-Hicks Estate - a 25-acre property - originally built for Count Pio Crespi. The Italian cotton magnate - who moved to the U.S. to head the American division of the family’s business – commissioned prominent architect Maurice Fatio to design the property. The estate has a four-story main house, a two-story guesthouse and a three-story pool house. 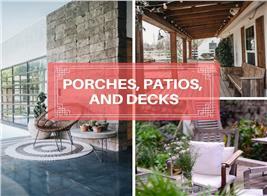 There are verandas, porches, terraces, gardens, lawns and creeks. Tom Hicks, former owner of the Texas Rangers, has called it home since 1999 … but not for long… if another billionaire buys the estate. So maybe you’re not in the market for this kind of estate. 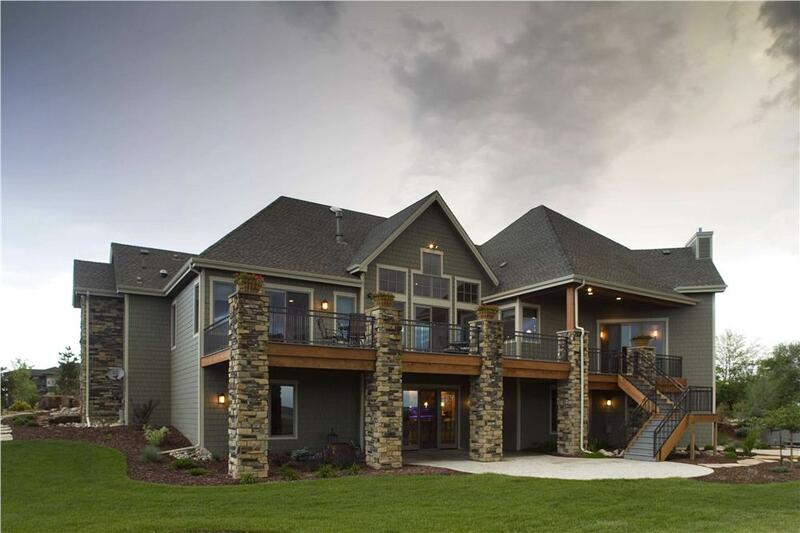 Would you consider this two-story, five bedroom home that sits on a lake? Rear exterior views of House Plan #161-1034. It has similar attractions: patio, courtyard, sundeck, balcony, covered rear porch, wine cellar, fireplace, den, kitchen, game room, home theater, media room. 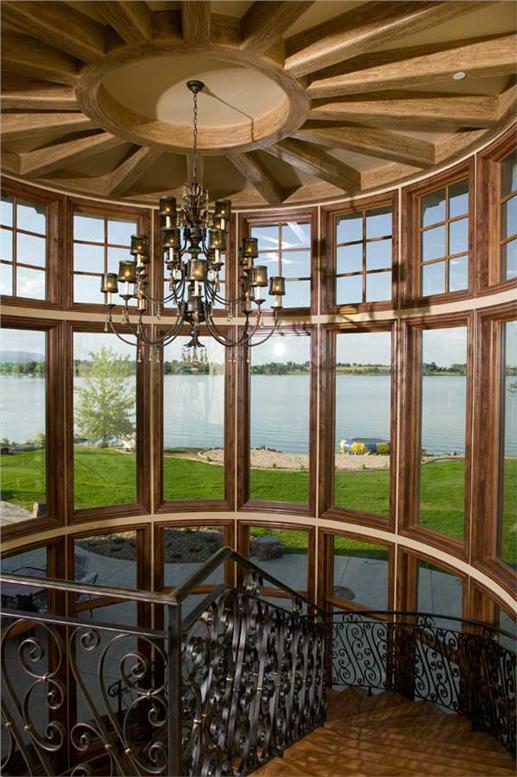 A peek at the glass staircase with views of the lake … and high ceilings in the sitting room of this plan. Laid out on three floors – 41st, 42nd and 43rd – the penthouse in one of the world’s most famous hotels has 16 rooms and great views of the New York City. Its crowning jewel is the living room which includes the original ballroom at the hotel. 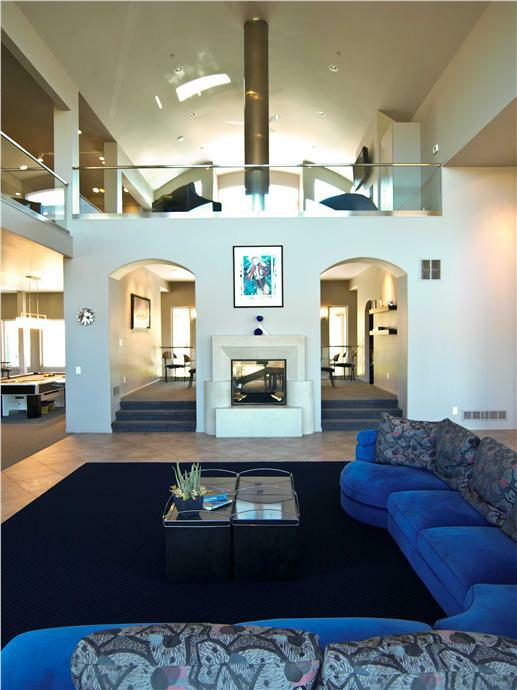 With five bedrooms, six full baths, three half-baths, fireplaces, guest rooms, kitchen private elevators, and a grand staircase, the penthouse sits in the lap of luxury. One of the most famous addresses in New York City: the Pierre Hotel and the penthouse's grand staircase. If New York City is not your style, how about this? 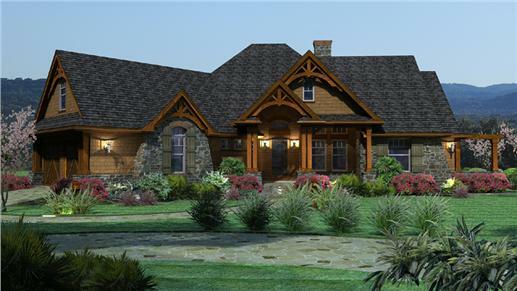 A traditional country house plan with more than 6,000 square feet of living space. The two-story home has five bedrooms, four full baths, two half baths, sundeck, covered porches, courtyard, family room, game room, a den and, of course, kitchen-dining-living areas. A beautiful exterior matched by elegant, comfortable and spacious interiors (below)… the open floor plans allows glimpses into the rooms from one vantage point. 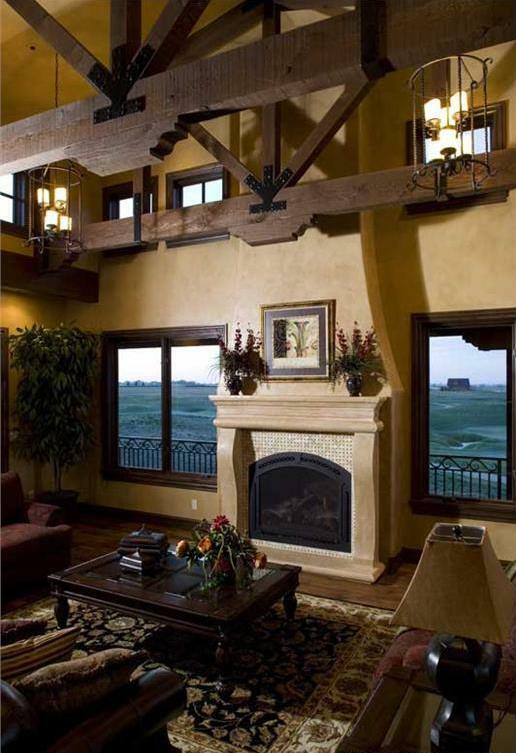 A high, barrelled ceiling and gorgeous trimwork and molding creates an impressive living room (left). -- either for family on the go ro for entertaining. High ceilings and a fireplace in the living area with long glass windows, and an elegant staircase...access from the eat-in kitchen and breakfast nook to the formal dining area. A four-bedroom condominium in New York City, the duplex is one of the many homes owned by a certain hedge fund billionaire. Designed by architect Charles Gwathmey, the ultra-modern condo has spectacular views of Manhattan. Two views of the living room of Steve Cohen’s duplex; and the modern kitchen. Compare the duplex above with this two-story four-bedroom contemporary home, with a covered porch, sundeck, fireplace, mudroom, game room, den, guest suite, home office and theater. There are no sweeping views of Central Park and Manhattan, but the home has spectacular curb appeal. 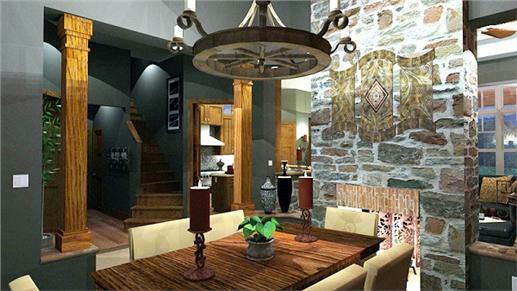 It can also match the modern living room and kitchen of the duplex (shown below). In the heart of Beverly Hills and Sunset Boulevard, the Beverly House was built by banking executive Milton Getz on 3.7 acres. In 1946 the property was bought for William Randolph Hearst. Among its attractions are the 50-foot entry hall with loggia, living room with 22-foot high ceilings, a library with hand carved woodwork. Our answer to the Beverly House is this luxury home plan (below) – with four bedrooms, six bathrooms, and four garage bays. Along with the spacious covered decks on more than just one level, other features include a master suite with fireplace on the main floor, dining room, living room, wine cellar, and a library. 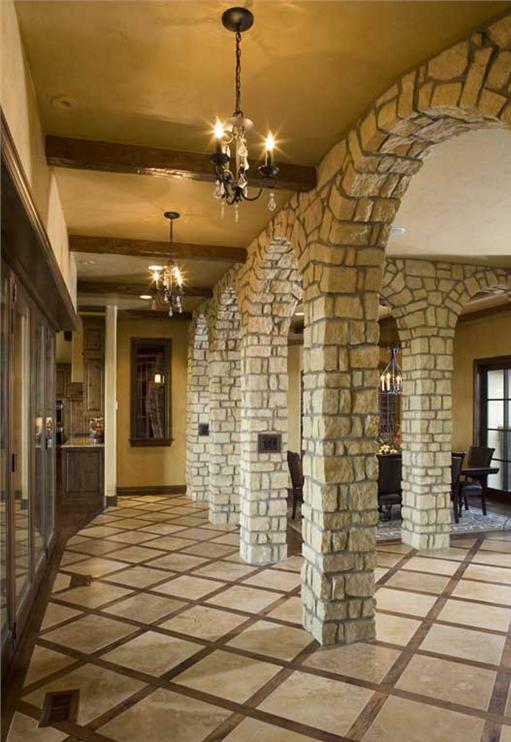 The basement is made for entertaining with its large bar, a game room, and media room. A rock garden with waterfalls is a stunning and calming sight as one enters the home. 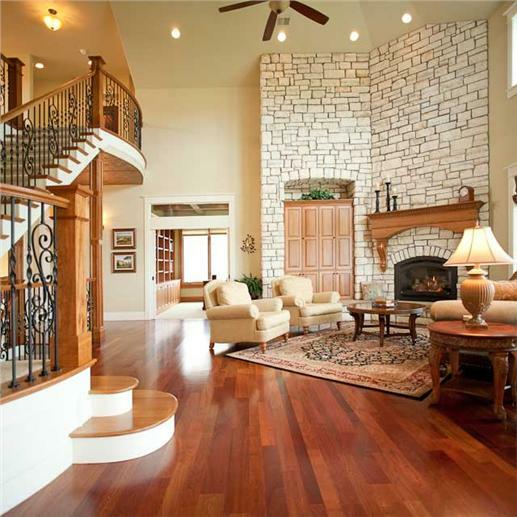 Double doors open into a foyer leading to the elegant living room. The Chateau - overlooking the French Riviera – occupies 16 acres, has a palm grove, a pond with lilies, 12 bedrooms and eight bathrooms. Dating back to 1896, it was built by diplomat/nobleman Sir Edward Malet, the British Ambassador to the German Empire and his wife, Lady Emyntrude Malet, daughter of the Duke and Duchess of Bedford. Among the many royal visitors to the Chateau were Queen Victoria and King Leopold II of Belgium. 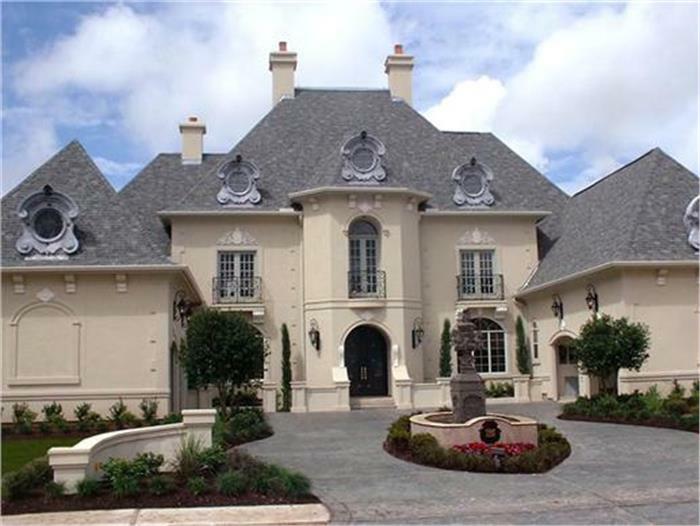 It’s not a chateau on the French Riveira, but this French chateau-inspired European home plan (see below) has plenty of luxurious features, including a gallery room with a fireplace, library, study, large open kitchen and family room for social events and gatherings. 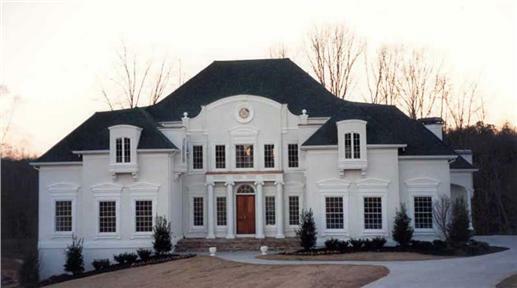 www.theplancollection.com/house-plans/home-plan-8721. 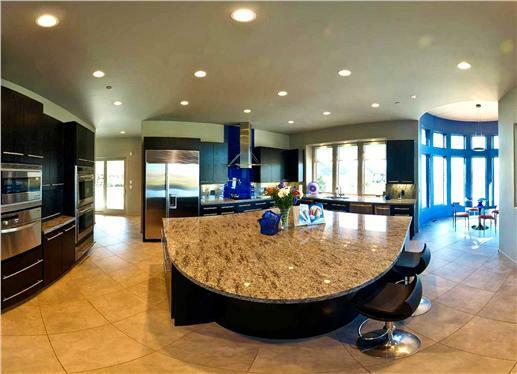 Just under 5,000 square feet, the two-story home has four bedrooms, three baths, two half baths, four garage bays. The master come with a personal retreat, exercise room, and his/hers walk in closet. The courtyard entry with its fountain provides a great view of the covered lanai and front porch, and a glimpse of the landscaping. Christian de Guigne IV is an heir to a huge chemical fortune. 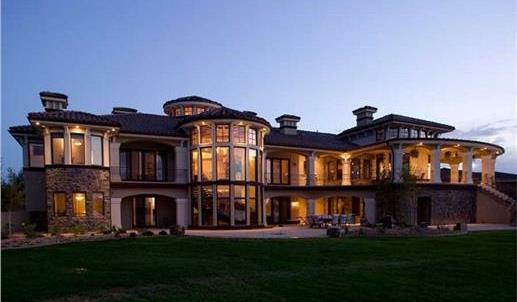 His estate in Hillsborough, CA has been in the family for 150 years and lies on 47 acres that provide a lot of privacy. The mansion comes with a grand ballroom, library, pavilion, formal gardens and amazing views of San Francisco. 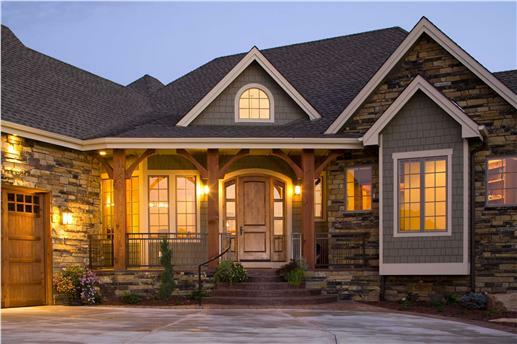 The lovely house plan below has superb views of the countryside. 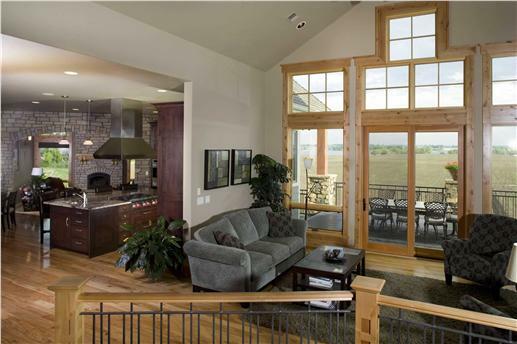 The two-story home has four bedrooms, three full baths, three half-baths, and three guest suites on the lower level. 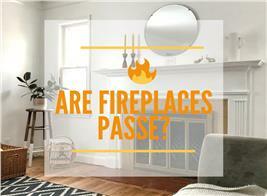 Other posh features: fireplace, wine cellar. In 2001, Walt Disney built a 35,000 square-foot mansion on 4 acres in the Holmby Hills section of Los Angeles. 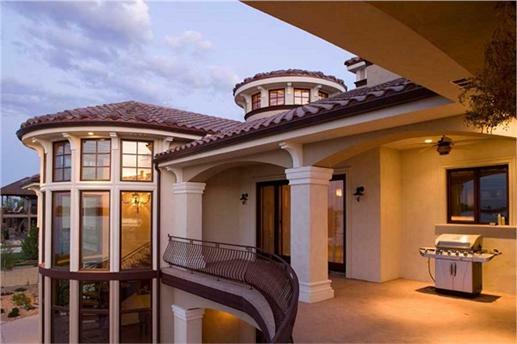 Today, the three-story mansion – owned by pro soccer team owner Gabriel Brener – is on the market. The main house has eight bedrooms, 17 bathrooms, a library, gym, wine cellar, three bars, a gym – and a movie room. 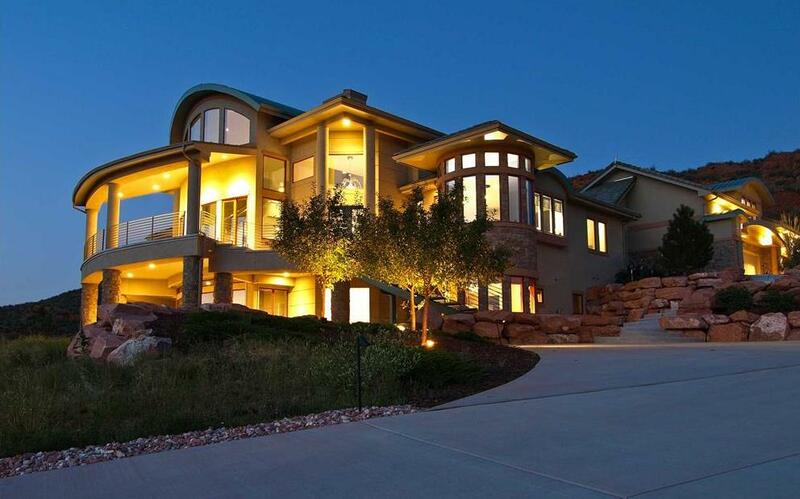 It also comes with a swimming pool, pool house, and a tennis court. You don’t have to live in Holmby Hills to have all these. 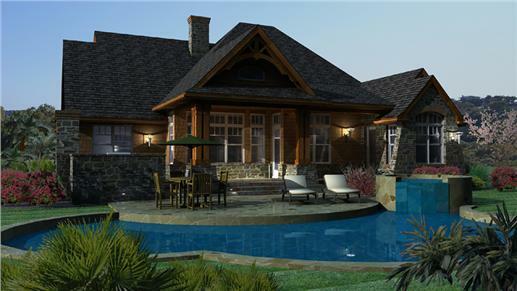 Check out this traditional, luxury house plan with a beautifully-manicured lawn and garden. Inside the two-story structure are four bedrooms – master suite on the main level – four bathrooms, grand salon, attic, balcony, patio, and library. 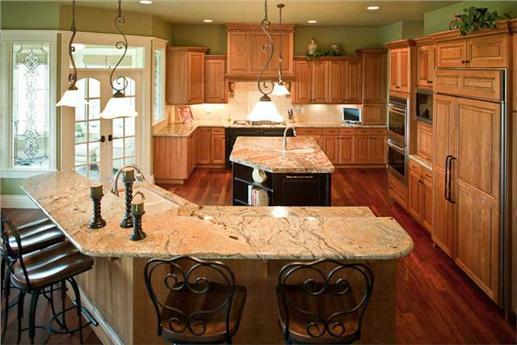 A family room is located next to the kitchen – with doors that open to a veranda. Ten-foot ceilings and long windows provide views of the lawn and garden. Located a few miles from Jackson Hole, Wyoming, is one of the state’s most picturesque ranches. The Little Jennie Ranch occupies more than 3,000 acres at the foot of the Gros Ventre Mountain Range. It has trout streams and vast rolling meadows. On the property are 11 ranch cabins, including a honeymoon cabin, barns, and a two-story main lodge designed with Native American touches. 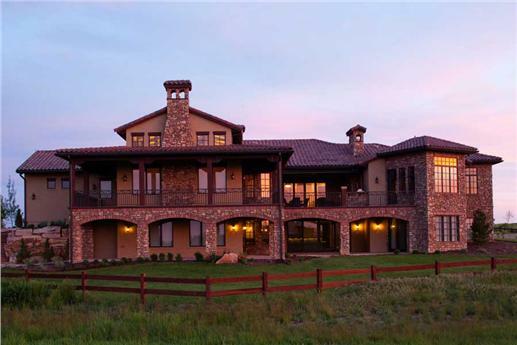 While the luxury ranch home below may not sit on 3,000 acres, it is surrounded by mountains and has a great lawn, garden, and lovely vistas. Guests come through the covered porch into a spacious open floor plan – a living room, dining area with a peninsula/eating bar, eat-in and outside kitchens, and a BBQ patio in the back. 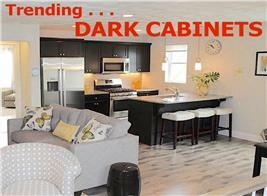 There are three bedrooms and two-and-a-half baths, and space for a bonus room. 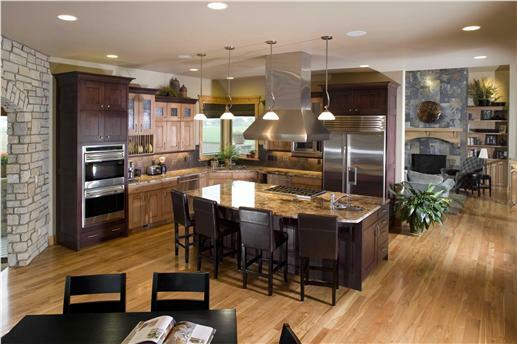 The open floor plan is ideal for entertaining - allowing easy access from dining room to eat-in kitchen to living room. The furnishings give the home a warm and comfortable ambiance. 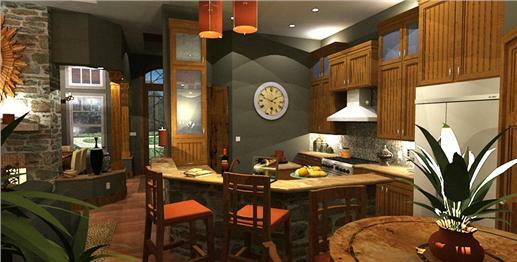 Feel cozy in the dining area and the eat-in kitchen. Surrounded by waterfronts and mountains in Lake Tahoe’s Incline Village, Sierra Star Estate consists of five separate parcels on 4.35 acres - four homes and a vacant lot. Rock waterfalls that are lit at nightfall and lush landscapes are part of its charm. The property includes two private piers, a white sand beach and a two-story subterranean garage and showroom. All this for $28.5 million. Even if you have $28.5 million, you don’t have to spend all that for this fabulous house plan with mountain living influences. With more than 5,000 square feet of living space, the house has five bedrooms, four-and-a-half-baths in an open floor design. An attractive covered front porch welcomes guests into a spacious foyer, living room, dining area and kitchen. 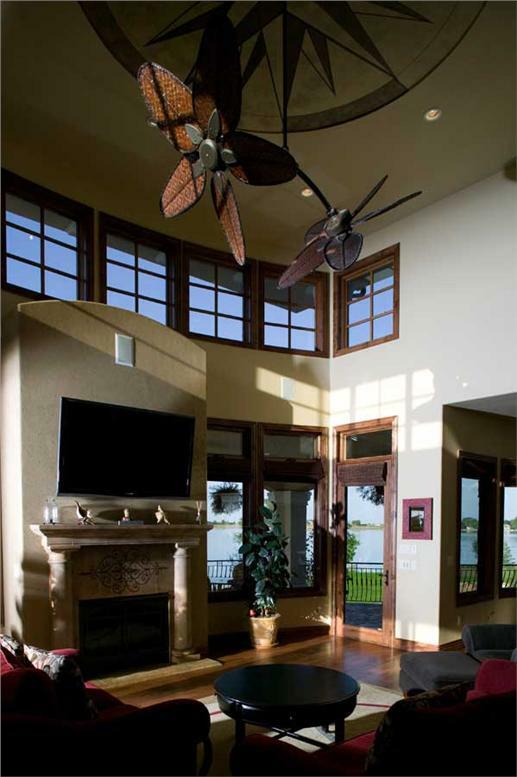 There are covered decks, a rear patio, gym, wine cellar, library, game room, and master suite on the main level. A front view of the house (left) and a close-up of the covered porch and steps. Open Floor Design: The kitchen area with kitchen island and breakfast nook connects to the living room and the deck. The distinctive house plans described here are just a few creative alternatives to their mega-million counterparts on the market today. So, get ready for Santa and your “wish list” for the dream home that warms your heart.